As part of the celebrations of Halloween my family and I wanted to try to make a dessert allusive to the activity but also fun. 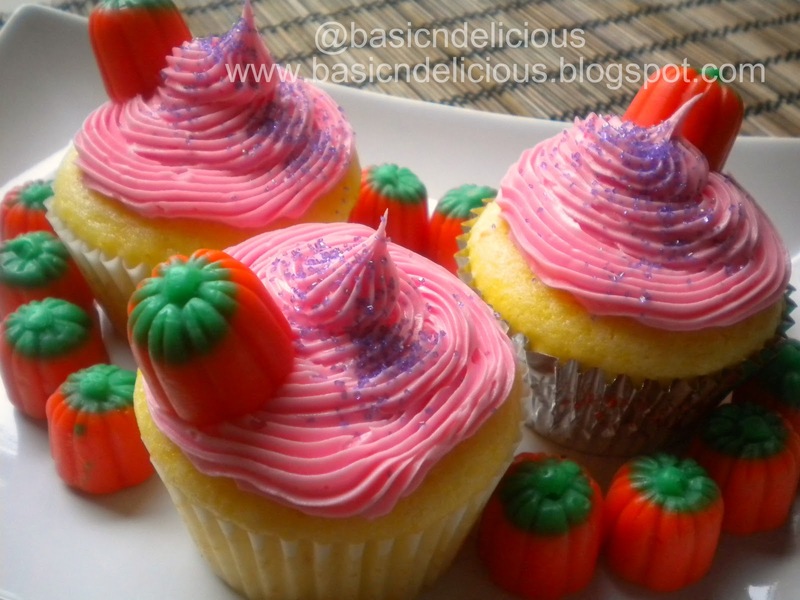 My 6 year old daughter came up with that we could make cupcakes with pink frosting and decorations, excellent color for Halloween, so we put together some ingredients and ended up creating these delicious orange cupcakes. This is a special recipe to spend a pleasant time with the family and allow the children to explore more in the kitchen. In a bowl add the cake mix, orange zest, orange juice, egg whites and water. Pour the mixture into a muffin pan lined with muffin paper. Bake for 20 to 24 minutes, depending on each oven, remember that everyone is different. Insert a toothpick in the center it comes out clean they are ready. This entry was posted in Uncategorized and tagged cupcakes, vanilla by Kathia Rodriguez. Bookmark the permalink.